You Can't Cross That River Twice! Just a reminder that when you give a child the gift of a love for reading you can change her destiny! What you do matters! "It is more than ironic that school districts are willing to spend hundreds of thousands of dollars on reading programs and staff development which have had limited success in boosting test scores, but are unwilling to invest in school library programs that show direct correlations to student success." Last week I mentioned showing your boss the research that supports the importance of what you do. Did you do it yet? Just one more happy librarian! “Tommy is a delight to work with, from start to finish. I appreciated the information he sent ahead of time. I appreciated his flexibility. Most of all, I appreciated the way he interacted with the kids before and after the program. He has a magic touch, in more ways than one. Every Thursday, you’ll get this short, fun, relevant newsletter. 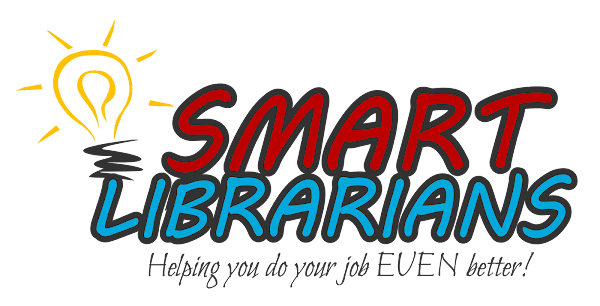 It will contain a quote or smile about the library and those who love it, an idea you can use to promote your library or readiang in general, and an occasional shameless plug for the programs I offer. Enjoy! This is interesting. It seems that even kids who have ALWAYS had digital content available still prefer BOOKS! Check it out here! Marketing is everything you do to place your products and services in the hands of people who would benefit from using them. This week we continue looking at your market by looking at what your principal and administration need from the media center. Great news! Research show that a well-stocked media center, staffed by a well-trained media specialist can increase test scores. When I Googled that sentence, five of the first six results pointed to DIFFERENT studies that supported this premise. Show your principal this research and back it up with collaboration, lessons and resources and you’ll have a new champion! Many have found success getting teachers to agree to collaboration by first convincing the principal of the value of it! When you promote the media center, keep the “customer’s” NEEDS in mind. Fortunately, the media center can help them in every one of these areas! Don’t just talk about the stuff in the library; talk about how it affects them. Everyone is tuned into their favorite radio station, WIIT-FM. What Is In This For Me? Find ways to make what you do and what you provide relevant to what they need. Pull for a Patriot? Well, Maybe THIS One! Many of you have heard of Malcom Mitchell, the UGA football player who discovered the magic of reading as a college student. The NFL rookie played in the Super Bowl for that OTHER team on Sunday, but his story is inspiring and reminds us that what we do to promote a love of reading can change lives. You can read his story here and find out about his book here. Trust me on this. This will be a few minutes of your time well spent! Marketing is everything you do to place your products and services in the hands of people who would benefit from using them. This week we continue looking at your market by looking at what your colleagues (faculty and staff need from the media center. When you promote the media center, keep their NEEDS in mind. Fortunately, the media center can help them in every one of these areas!